We are pleased with this school replacement window project nearing completion. We have completed 75% of the window installation project at Tymberwood Academy in Gravesend, Kent. The new windows are looking great! The completed project will mean that the whole school will be double glazed. The original Crittal windows are being replaced which will vastly improve the look of the school. Additionally the new windows also mean that the school will save money due to increased thermal effiency. As well as new windows, blue infill panels are being installed to match the current school colours. In the last six years, Waller Building has worked in over 135 schools. Our reputation in the education sector is growing fast. The building services we provide include smaller refurbishments through to extensions and new builds. Waller Building is a Fensa, Chas, Constructionline and Safecontractor registered. Additionally, all of our staff are DBS certified. This means that our staff are suitable to work in schools. Furthermore we would be happy to price any maintenance or refurbishment works for your school. 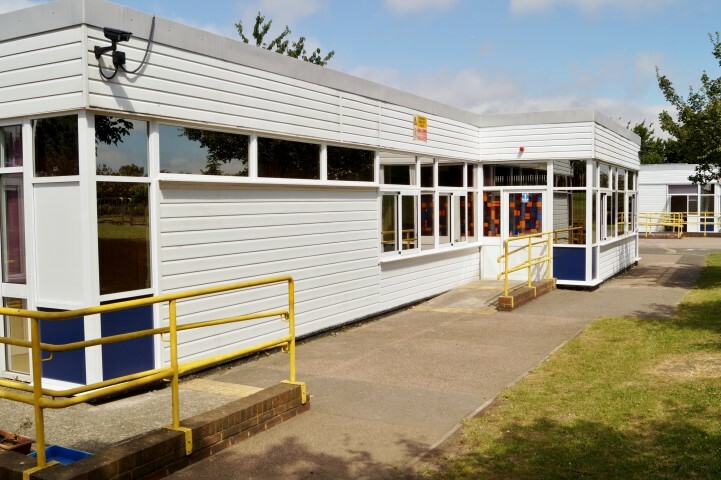 We cover all the building as well as glazing services that a school would require. This includes, toilet and kitchen refurbishments. We also install fencing, flooring and carry out complete new builds. Check out our website case studies to see projects we have recently completed. We carry out works from window and hinge repairs through to complete aluminium and uPVC window and door installations. Why not visit our facebook page too? Having previously worked for a major trade supplier in the construction industry where he started his career as a trade counter assistant, Mark progressed to a technical support specialist and as a company representative for 12 years. Mark enjoys building relationships with clients, whilst promoting and delivering quality products and services to customers.